The struggle is real when it comes to getting stuck in a salad rut. 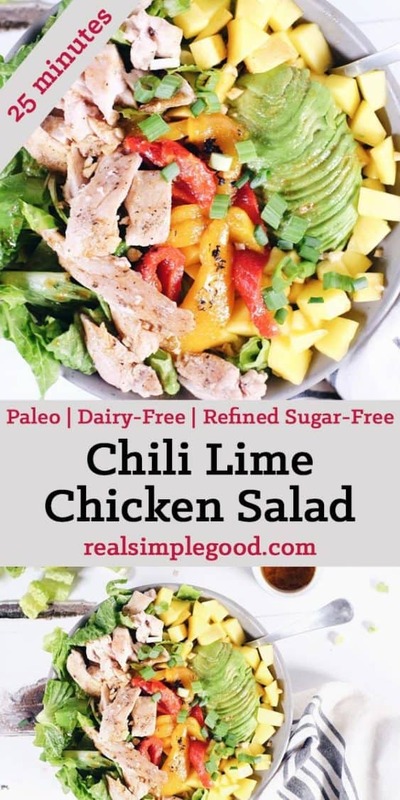 This chili lime chicken salad will have you loving salads again! 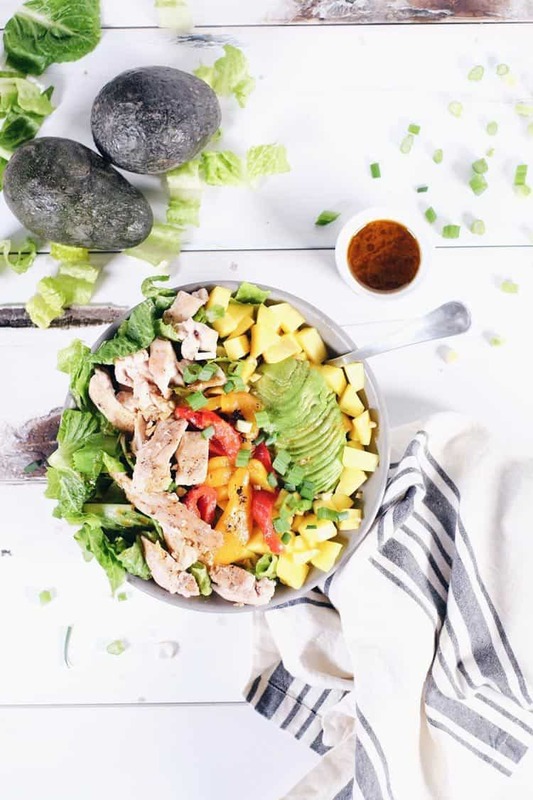 We love the combo of flavors in this chili lime chicken salad! 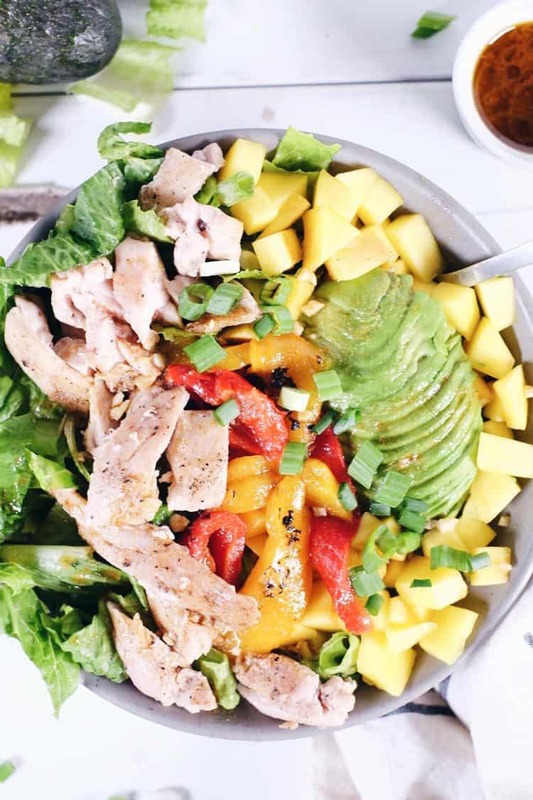 It’s so fresh and flavorful, from the mangos to the roasted peppers and the creamy avocado. Want a meal on the table in less than 30 minutes? 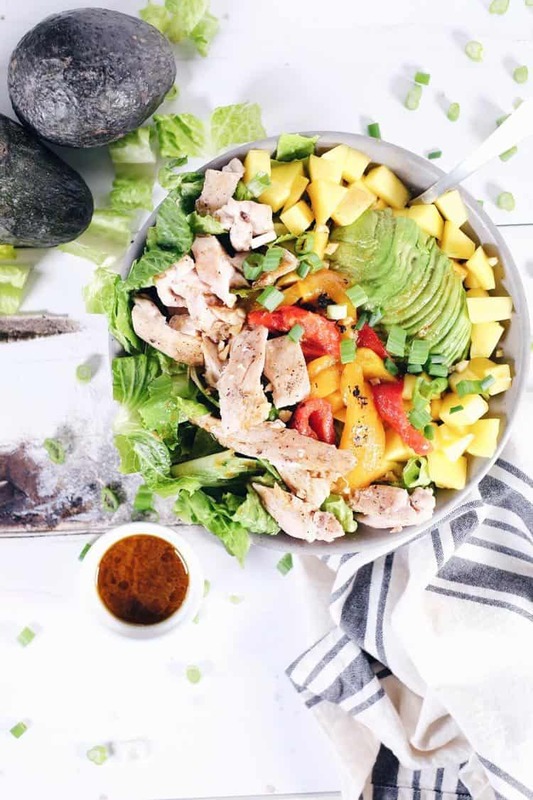 This chili lime chicken salad is your jam! It will be ready in about 25 minutes, and takes minimal effort. Just mix up the dressing, get the chicken cooking, and then prep the rest of the ingredients while the chicken is cooking. All that’s left is assembling the salad once the chicken is done! 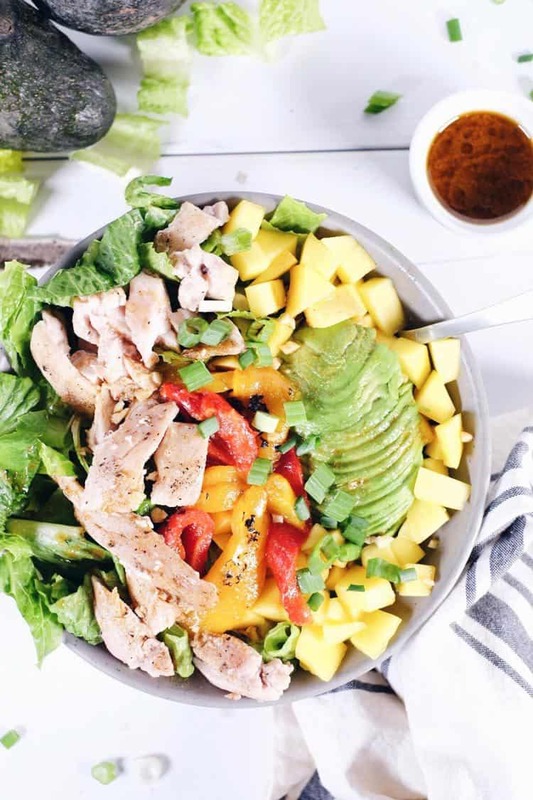 Up your salad game by making this chili lime chicken salad! Let us know how it goes by leaving a comment below. Also, take a photo and tag us on Instagram @realsimplegood, so we can check it out! Prepare dressing by combining all dressing ingredients in a bowl and whisking to combine. Heat a large skillet over medium heat and add avocado oil. Season chicken with salt and pepper on both sides. Once the pan is hot, add chicken and cook on each side for about 4-5 minutes, until golden brown and cooked through. Turn off heat and pour about 1/4 of the dressing in the pan. Turn the chicken over a couple of times to coat with the dressing. Set chicken aside to rest while you prepare the salad. Cut up lettuce, mango, avocados and green onion as noted. Place everything except avocados in a large bowl. Toss salad to mix ingredients. Pour in remaining dressing and toss again. Cut chicken into small strips. 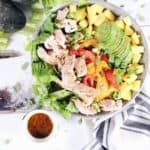 Serve salad topped with chicken, avocados and roasted peppers.